Manufactured in Etats-Unis from Circa 1960 until 0. The Savoy Mark II is a Herco Imperial simply rotated 90 ° to which was added a front with horizontal pattern. As the image is square, it does not change the result. However, this causes some weirdness: the trigger is horizontal, the top handle is in a weird position, the viewfinder is on side, the feet are on the side, the bottom surface is not horizontal because of the latches. 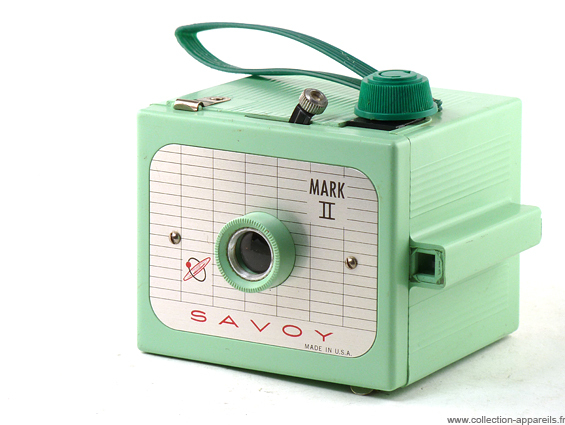 The Savoy Mark II is technically nothing more than a toy.